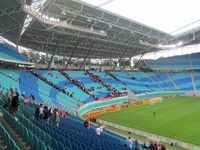 Remodeling of the Zentralstadion was confirmed in 2000, as Germany won the right to host the 2006 World Cup. 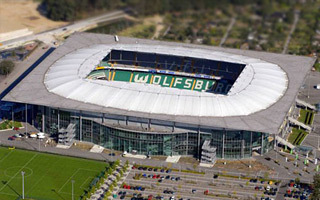 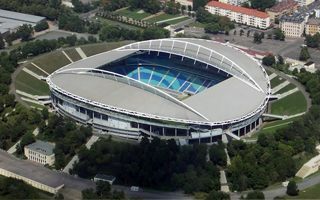 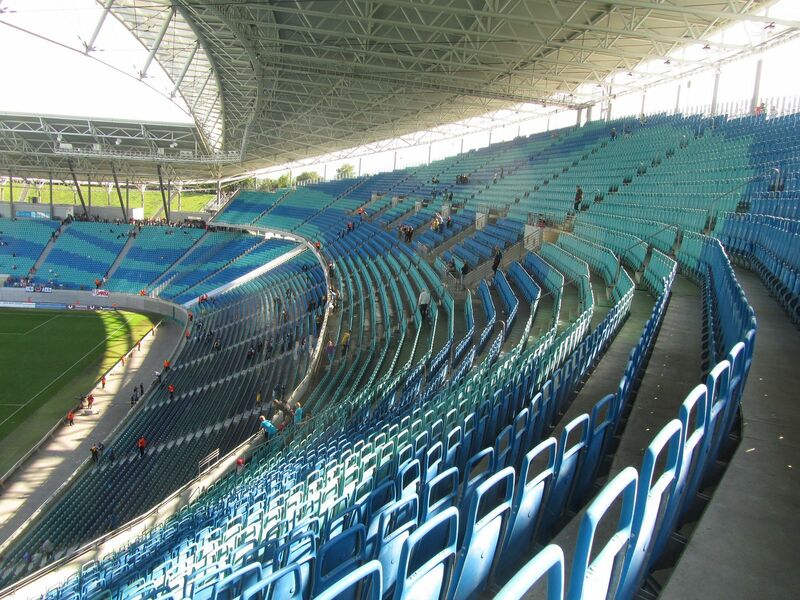 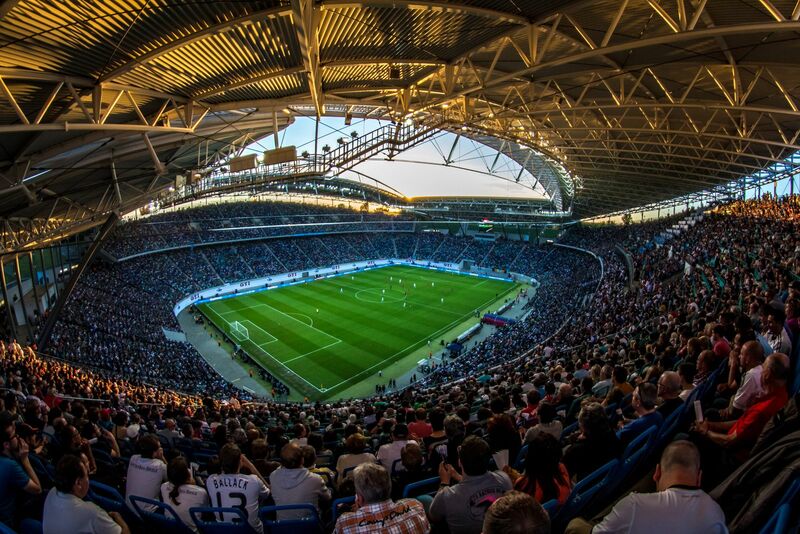 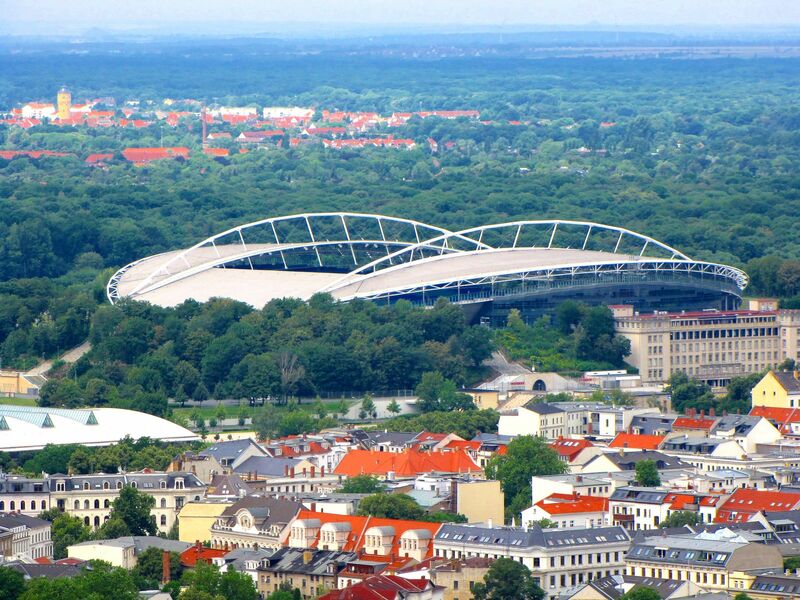 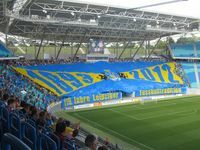 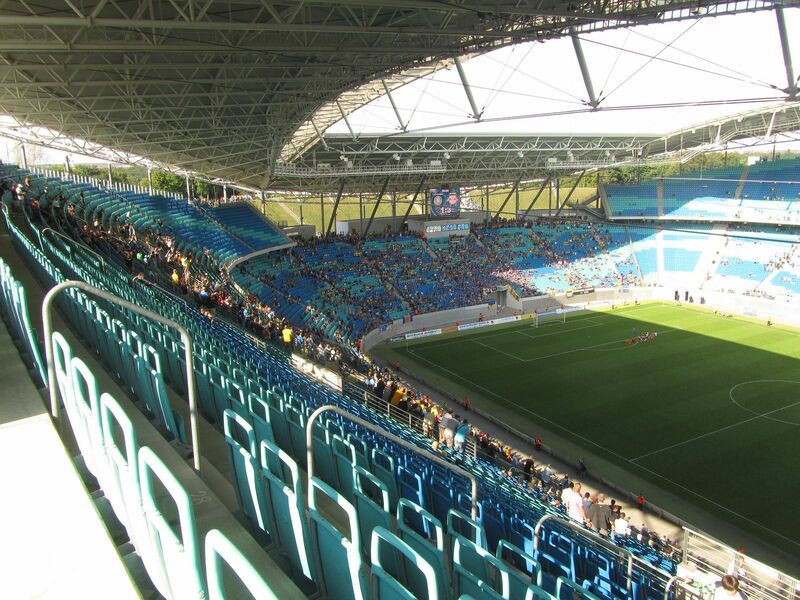 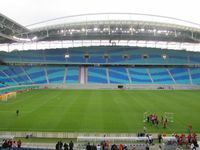 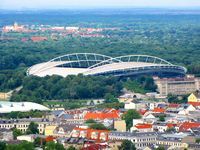 The 100,000-capacity stadium was too large and outdated to remain unchanged and FIFA regulations gave Leipzig the requirement of 40,000+ capacity for the new stadium. 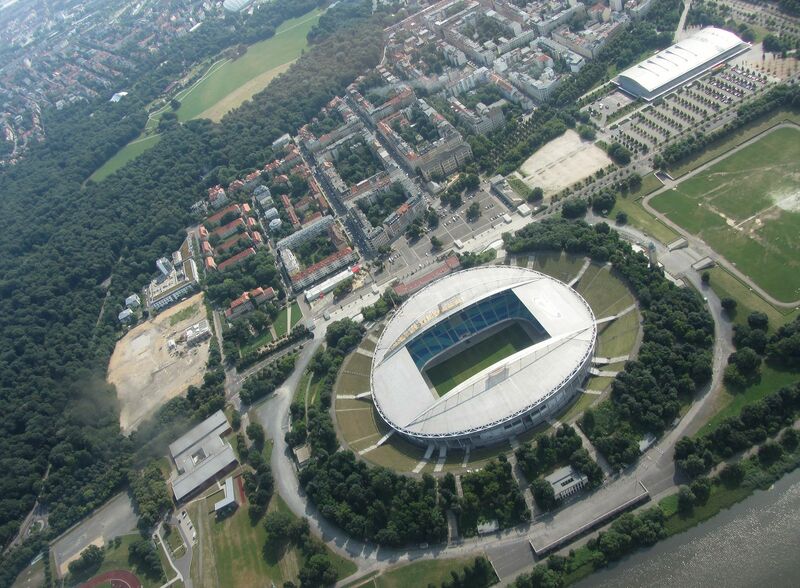 Despite planned changes the entire Sportforum complex was decided to remain intact, with secondary athletic stadium and tennis courts to the north and Festwiese meadow to the south. The old stadium itself was also preserved in a way very few redevelopments represent. 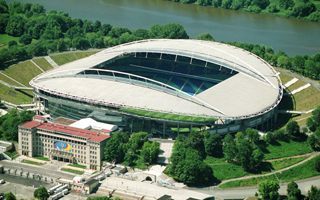 The entire stadium bowl was kept, all buildings dating back to 1956 were also retained. 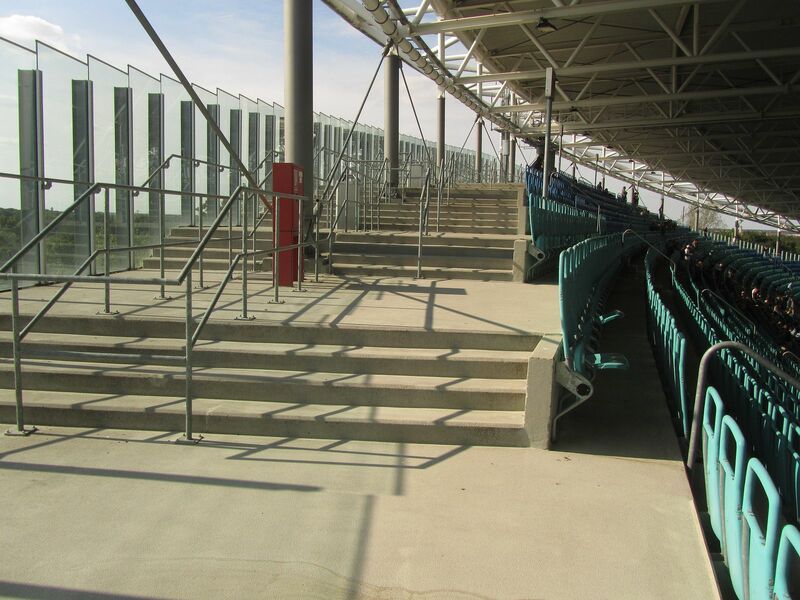 What used to be the top of previous stands is now the promenade surrounding entire stadium. 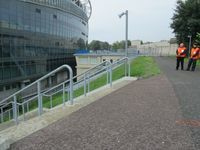 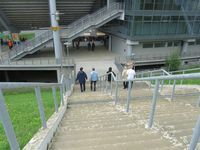 Both inner and outer side of the old landfill became public green, while specially-built ramps connect the promenade with the stadium set inside the bowl. 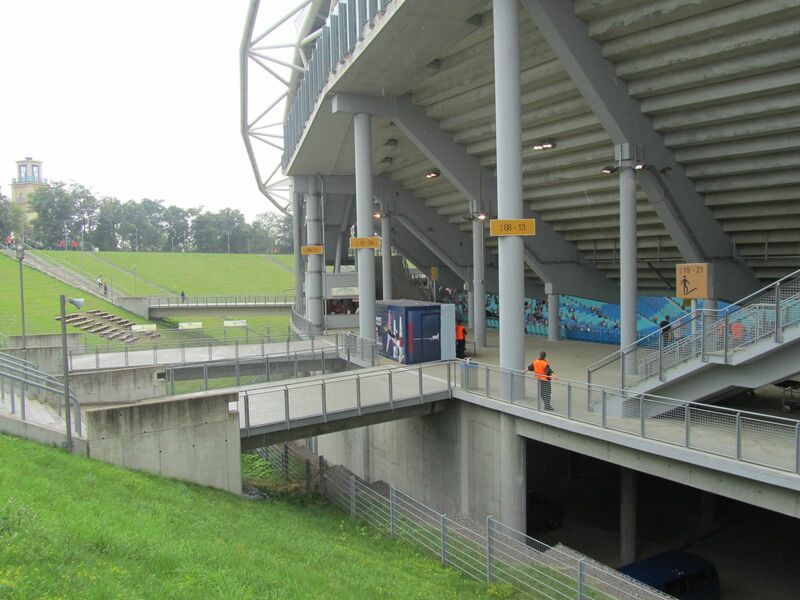 The design work was carried out primarily by German/Swiss office Wirth+Wirth. 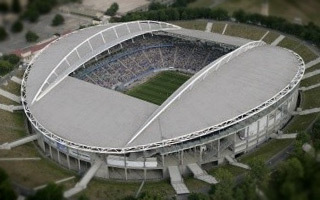 Its most distinctive feature is the curved roof supported by light arches running along the field (engineered by IPL). Beneath it are stands with a lower tier surrounding the field and upper stands created only on sidelines. 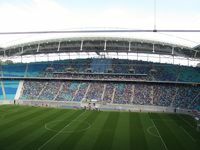 A rare occurrence in stadium design is the location of club/player/media/corporate infrastructure within the east stand, not west. 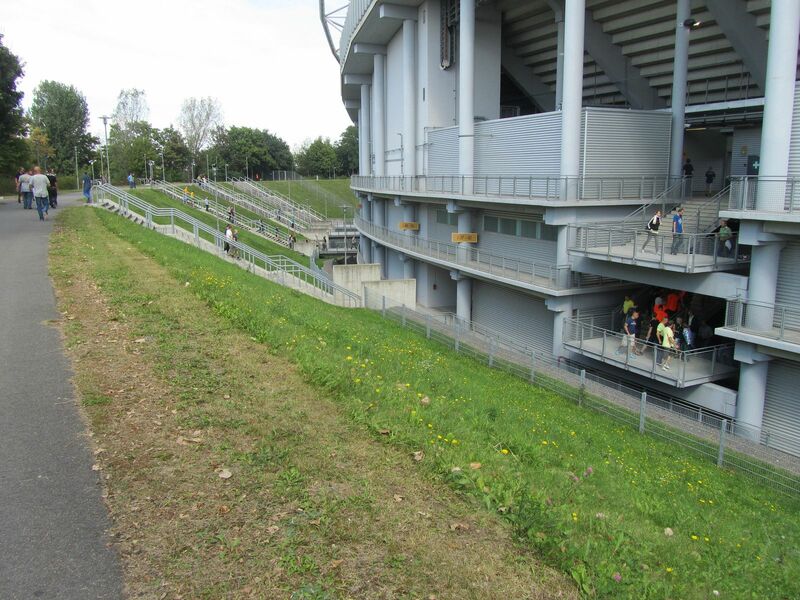 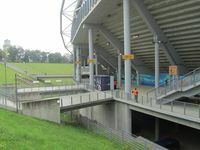 This shift from most frequent layout is caused by access issues in the west, where the stadium lies along the Elsterbecken canal. 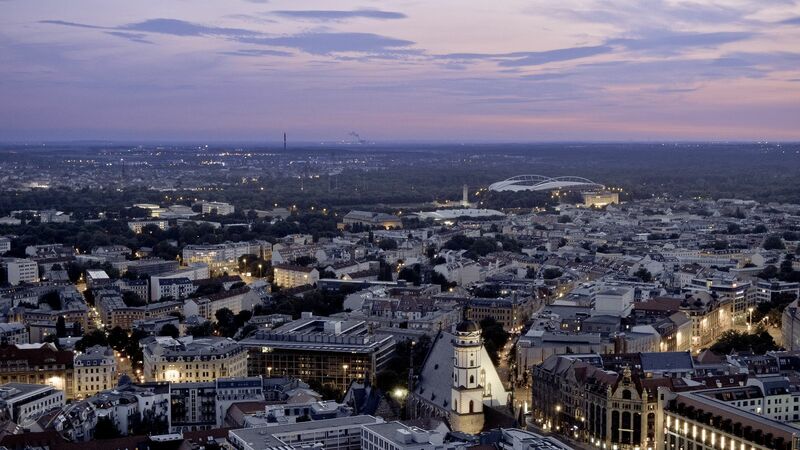 Construction consumed €90 million, of which €51 million came from federal budget of Germany. 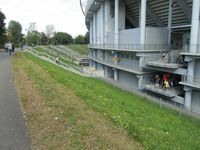 The budget is a modest one, which is resembled by stadium infrastructure – apart from the east side the ground has few facilities, limited only to ones needed for matchday use. Construction lasted between 2002 and 2004, allowing for the first game to be played in early March. 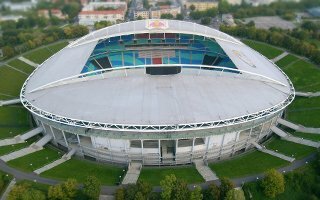 Official opening took place on July 16 and 17, when an international tournament was held at the stadium, still called Zentralstadion. 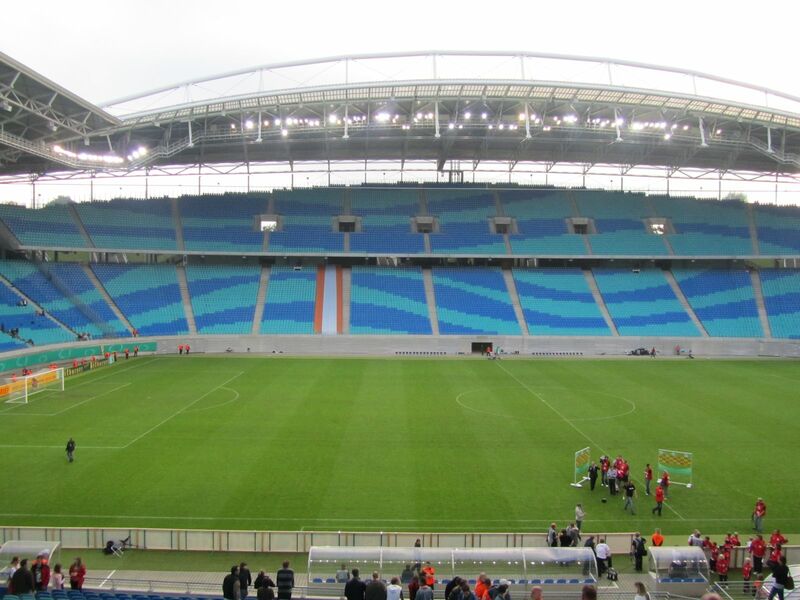 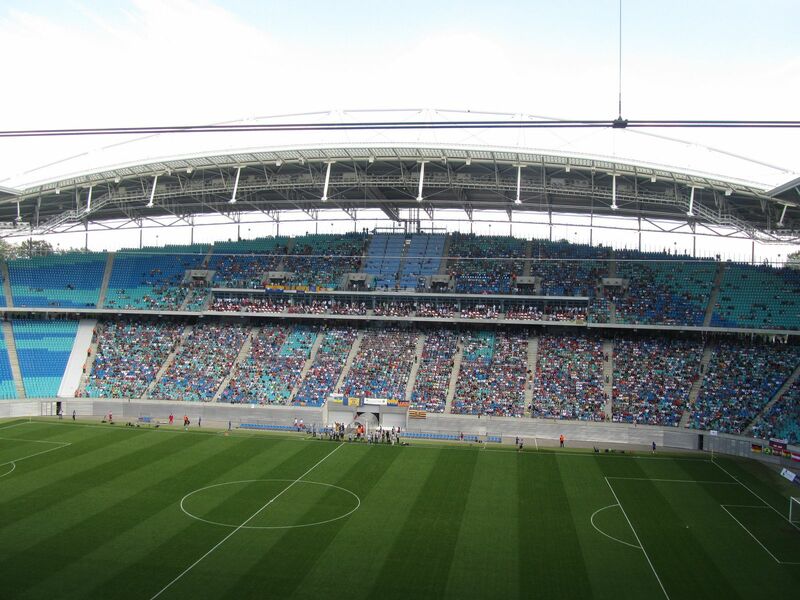 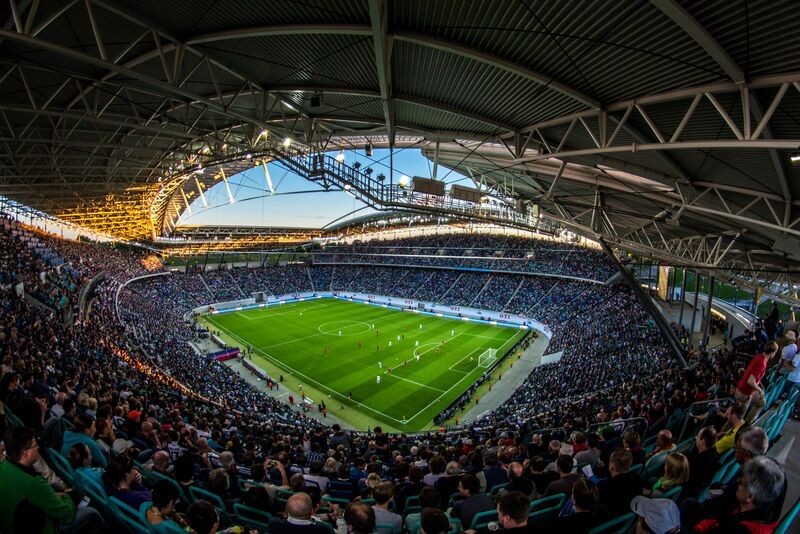 Then in November Germany held their first home game in Leipzig’s new stadium, beating Cameroon. 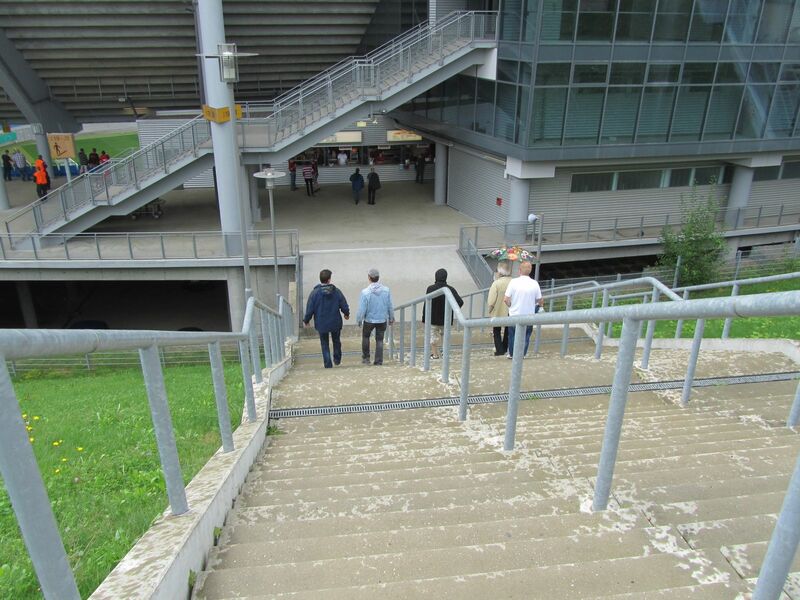 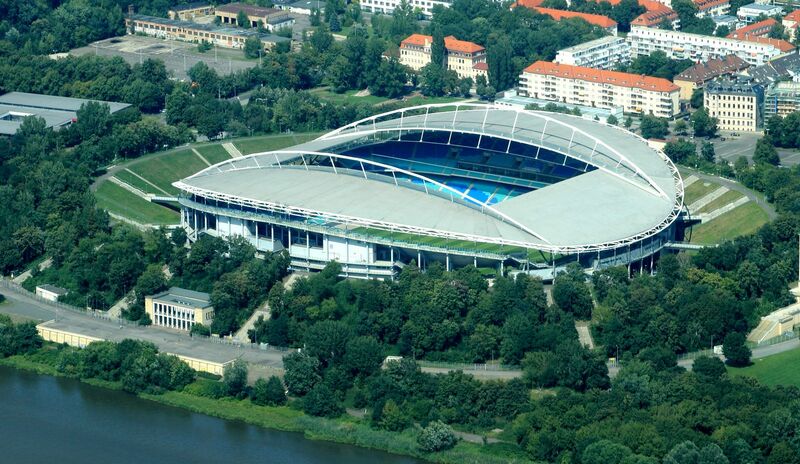 In 2005 three games of the Confed Cup and then in 2006 five of the World Cup were held here. 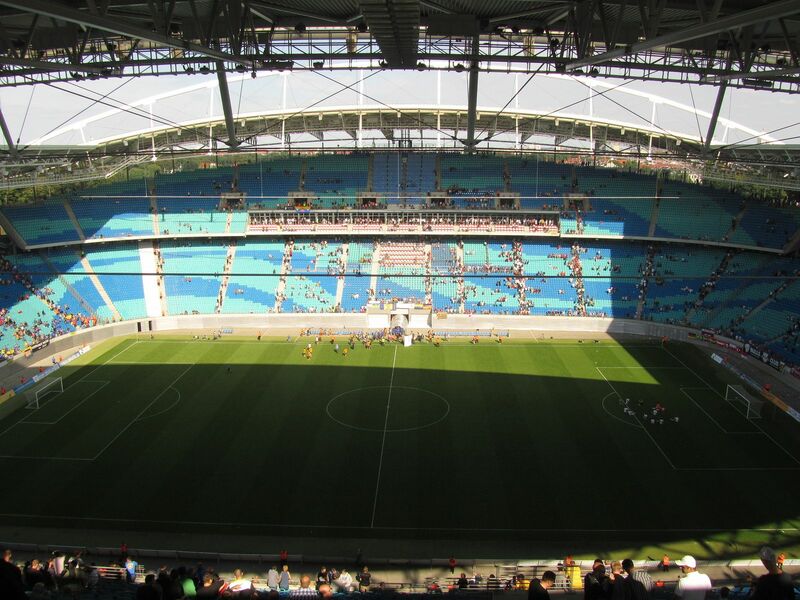 The biggest problem after opening was finding an anchor tenant for the stadium. 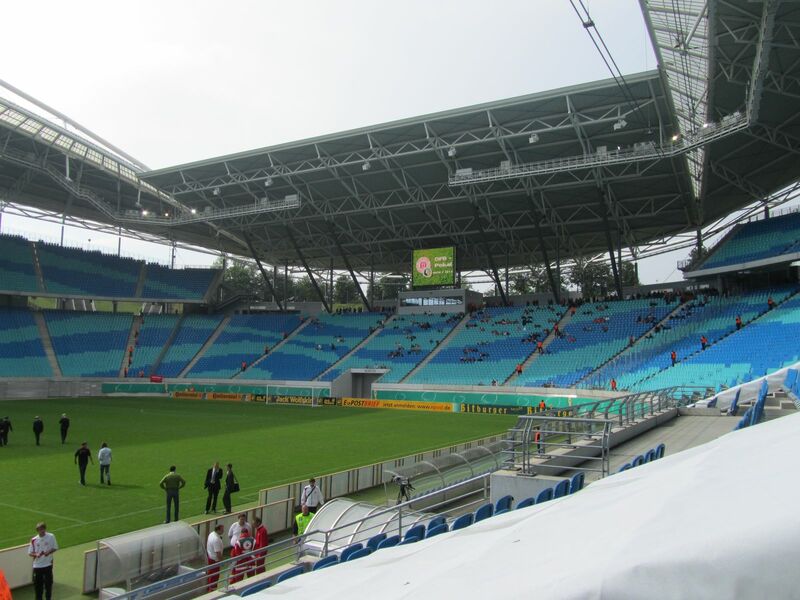 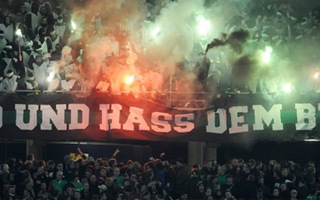 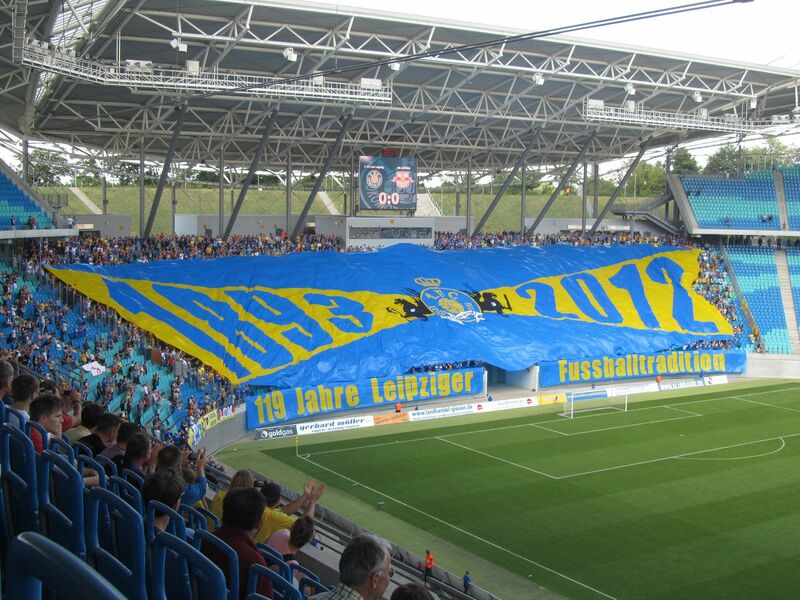 Sachsen Leipzig, who played the opener in front of almost 30,000 people, went bust a few years later. 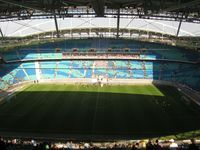 Further local clubs, Lokomotive and Chemie, also proved too small for the stadium. 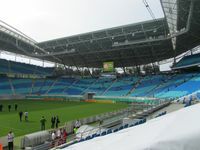 In 2009 the energy drink giant Red Bull bought the license of then-fifth-league SSV Markrandstadt and moved the team to Zentralstadion, changing its name to RB Leipzig and rebranding the stadium to Red Bull Arena. 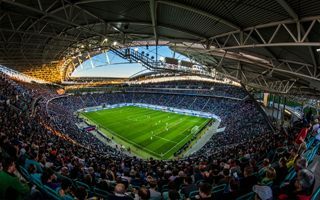 This newly-formed club was met with huge criticism across Germany’s traditional fanbase, but to date remains the key tenant of the stadium. 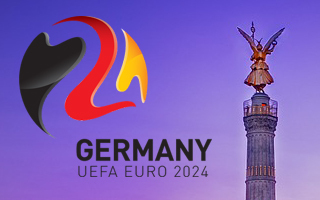 UEFA's evaluation report suggested Germany is the favourite to host Euro 2024 with all infrastructure already in place, be it stadiums, airports or hotels. 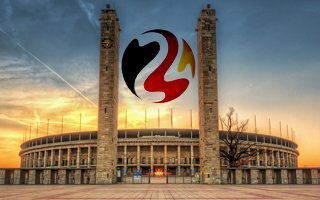 And there was no surprise, by 12 votes to 4 Germany beat Turkey and will host the tournament. 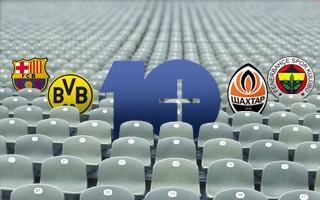 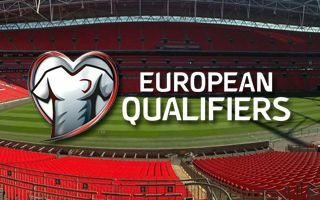 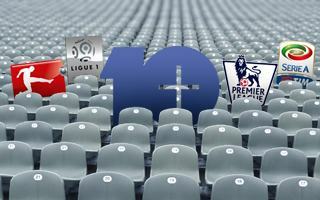 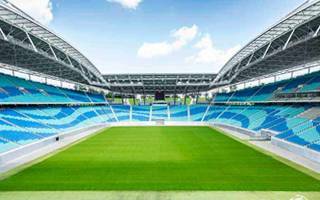 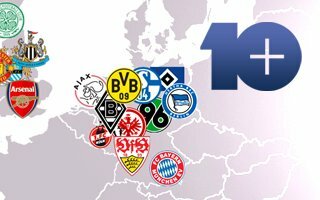 On Friday the German football association confirmed the selection of 10 host cities and stadia for Euro 2024. 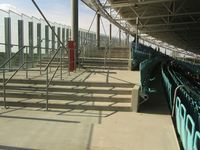 No new construction and few major renovations are planned.